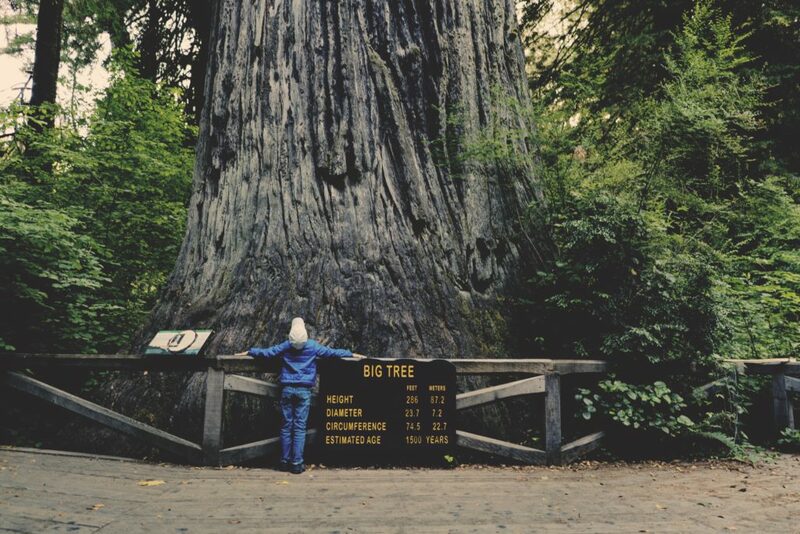 Teaching kids to identify trees is a worthwhile, but challenging task – especially at the outset. Adults rarely know where to start. Most online resources are too difficult for children to follow. They’re full of obscure terminology, and they primarily focus on minutiae that’s barely interesting to dendrologists. Field guides are also valuable for those who are already rather familiar with trees, but they’re rarely user-friendly for novices, despite the author’s best intentions to the contrary. Fortunately, you don’t need these things to teach your kid how to identify trees. At least not at the outset. 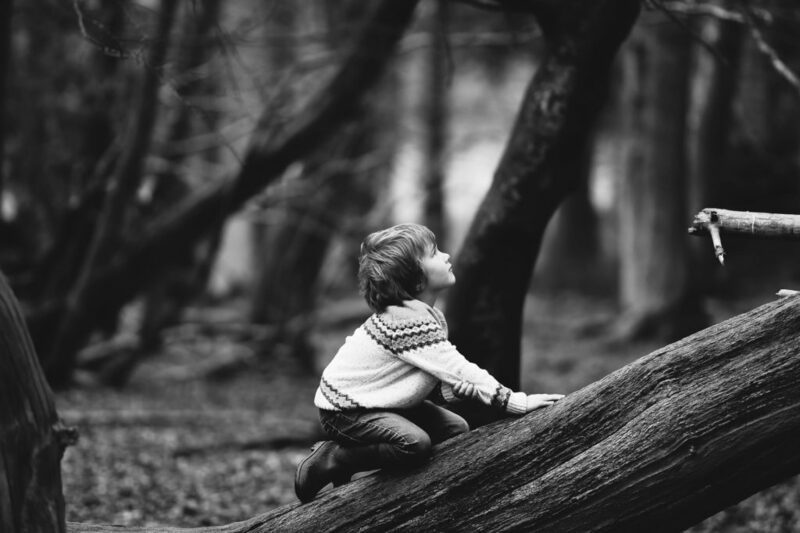 Whether your audience is comprised of a scout group, classroom or your own your own descendants, you only have to worry about doing three things to teach kids how to identify trees. Keep things very slow at the outset. Start with one species, and don’t move on to the second until your little one can spot it every time. This applies to four-year-olds who’ll take a week to do so, as well as teens who can pick up a species in 5 minutes. Pick species that are very common in your area. Practice and repetition are key when learning to identify trees, so it just makes sense to pick ones you can see on the way to the grocery store or school. They needn’t necessarily be a wild or native species, although that’s preferable. Emphasize common species that have one easy-to-spot characteristic. You don’t want your child to have to count anything or investigate any subtle details to identify trees. Pick trees with a conspicuous characteristic, like bold flowers, unusual leaf colors, distinct bark or a unique growth habit. You can employ these principles with kids of all ages, no matter where you happen to be in the world. Pick a handful of species that meet these criteria (we’ll discuss five in a moment), and your kids will be tree-identifying machines in no time. And once you get the ball rolling, you’ll be surprised at how quickly a handful of species turns into double digits. Before you know it, they’ll be teaching you rare trees with which you’re not familiar. Unless the forests around you are dominated by evergreen species, you’ll notice that most forests change with the seasons. Lush, green summer foliage and overripe fruit give way to multi-colored leaves that rain from the autumn branches. Winter forests are overwhelmingly grey, until the bright greens foliage and colorful flowers burst through in the spring. You’ll have to keep these seasonal changes in mind when teaching kids to identify trees. You can start in any season you like, although each presents different challenges. Spring is perhaps the most exciting time to explore the forest, and it offers a few unique opportunities you can exploit. Flowers and leaves begin to appear (in predictable fashion, no less), which makes a few trees pretty easy to spot. Red maples and redbuds, for example, produce very distinctive flowers during the early days of spring. Birches, cherries and willows are also pretty easy to spot, as they’re usually among the first trees to leaf out. Of course, this also means that you can only observe the leaves of those that have bloomed, so you’ll have to adapt to the forest’s tempo. For that matter, tree leaves don’t spring forth, fully grown. They explode from within little buds while they’re still quite small. They usually adopt their final shape pretty quickly, but you can’t use their size to find them in a field guide. This shouldn’t be a problem if you pick good focus species, but it’s worth keeping in mind. Summer is probably the most common season during which camp counselors and scout leaders try to teach youngsters to identify trees. But unfortunately, it’s likely the hardest season to do so too. During the peak of summer, the forest is not only at its most inhospitable (in terms of temperatures and biting bugs), it is also the time during which the forest is “busiest,” as leaves, flowers and fruit compete for your attention in every direction. This presents quite a proverbial challenge to the kids: You’re literally asking them to ignore the forest and concentrate on the individual trees. 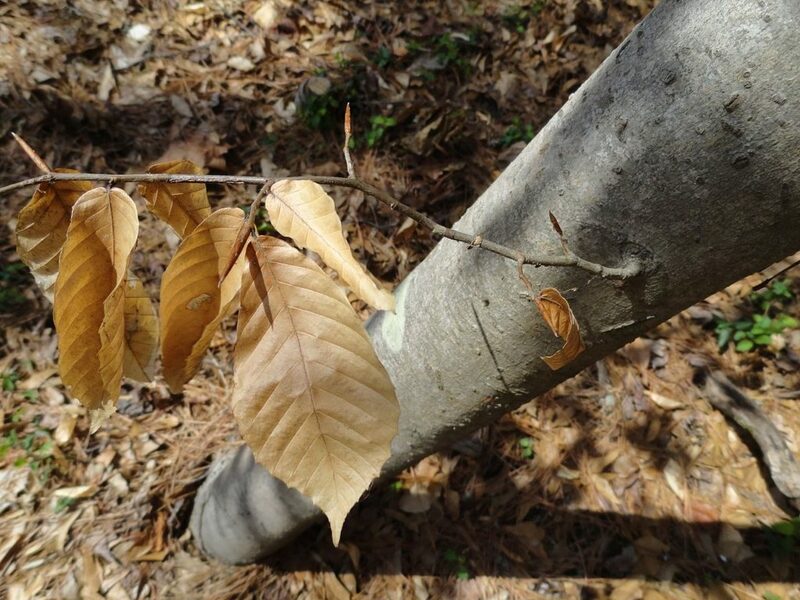 On the plus side, you’ll have your choice of tree species if you’re focusing on leaves for ID purposes, and a handful of species, including Southern Magnolias, bloom in the summer. Cherries and a few other species also produce distinctive fruit during the warmest parts of the year. The fall is probably the easiest time of year to learn how to identify trees. Several species are famous for their bold autumn foliage, which not only makes them easier to identify, it also makes it easier to pick out other species, which either shed their leaves quietly or retain green foliage all year long. Many species produce characteristic colors. Dogwoods and white oaks both produce maroon to purple leaves, and hickories produce the most amazing gold foliage you’ll ever see. Sweetgums produce multi-colored blasts that punctuate the forest, while the leaves of many red maple trees become predictably red. And others transition to winter more subtly, like the pine, whose leaves remain green, or the beech, whose leaves become pale yellow-brown and cling throughout the winter. The timing of leaf change also varies in the fall, just as leaf out does during the spring, presenting another set of clues to consider. Oddly enough, the winter often provides one of the best times to begin teaching kids to identify trees. Most of the broad-leafed trees are bare or nearly so by the time winter sets in. And while this obviously prevents you from using leaves to identify trees, you can still use things like bark and growth habit to spot a few. In fact, because the bulk of the leaves will be found on the forest floor, you’ll be able to see farther into the forest during the winter. This can even make a few species really “pop” and stand out amid the surrounding forest. In fact, each of the five trees below does exactly that and has a single, simple characteristic that sets it apart from most other local trees. The following five species are very common in the Piedmont region, and to a lesser extent, the rest of the eastern U.S. They all possess pretty distinctive characteristics and remain relatively easy to identify throughout the year. Beech trees are common hardwoods throughout many parts of the southeast. They occasionally reach pretty large sizes, and they make quite a visual impression. Unfortunately, the very same smooth bark that makes beech trees as beautiful and easy to identify as they are makes them the targets of vandals who’d like to carve a message into the bark. The massive root systems of beech trees often produce a number of secondary stems (new trees), so they can quickly develop quite a presence in small forests. They produce an edible nut that serves as an important food source for forest-dwelling rodents, deer, pigs and birds. During the winter, beech trees are especially easy to recognize, as they are typically clad in dead brown leaves. Unlike most other deciduous trees that shed their leaves shortly after color change, beech trees retain their dead leaves until the following spring. Once familiar with the color of dead beech leaves, your child will be able to spot them easily amid the forest’s many trees. Pine trees are exceedingly common in the metro Atlanta area, as well as the rest of the eastern U.S.
They’re native to the southeast, but they’re also planted in huge numbers by developers and land managers. Mostly because they’re hardy, cheap and grow quickly. 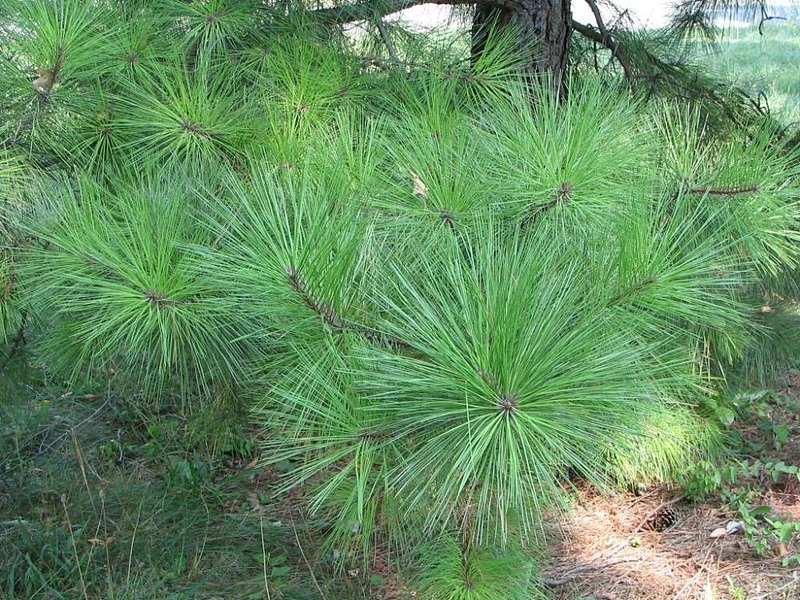 The loblolly pine (Pinus taeda) is likely the most common species found throughout the southeastern Piedmont, but all pines have clustered green needles, so don’t worry about the distinguishing between species when getting started. The biggest challenge most kids will have is learning to distinguish pines from red cedars (Juniperus virginiana) and other conifers. Just take some time and concentrate on the fact that pines have bundled needles. None of the other conifers, including hemlocks, arborvitaes and every species between, cluster their needles into bundles. With practice, they’ll learn to associate the growth habit and bark of the most common pines in your area with the clustered needles. This will allow them to identify pines from a distance. River birches most commonly grow in the floodplains and forests that border lakes and rivers. In fact, their seeds float, which helps them to colonize distant shores. But while river birch trees naturally grow in riparian areas, they are also common far from water, as they’re often beloved by homeowners, developers and landscapers. As long as the region receives adequate rain or the landowner provides supplemental irrigation, river birches will often thrive in these types of upland locations. 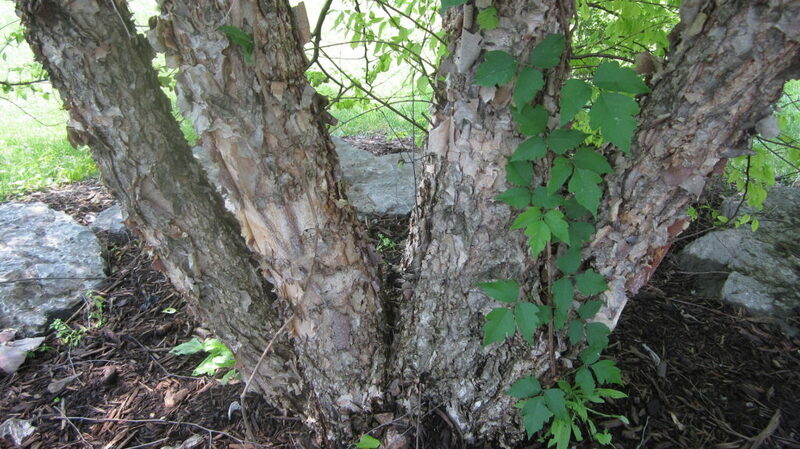 Identify river birch trees by their thin, papery bark. It is helpful to emphasize that the bark is peeling away from the trunk. Using the world “peeling,” as opposed to “rough” or “shaggy” paints a more vivid picture for young tree lovers to wrap their heads around. Additionally, river birches frequently grow as multi-trunk clusters, rather than as single-stemmed trees. This can make them easy to recognize before you even get close enough to note the peeling bark. 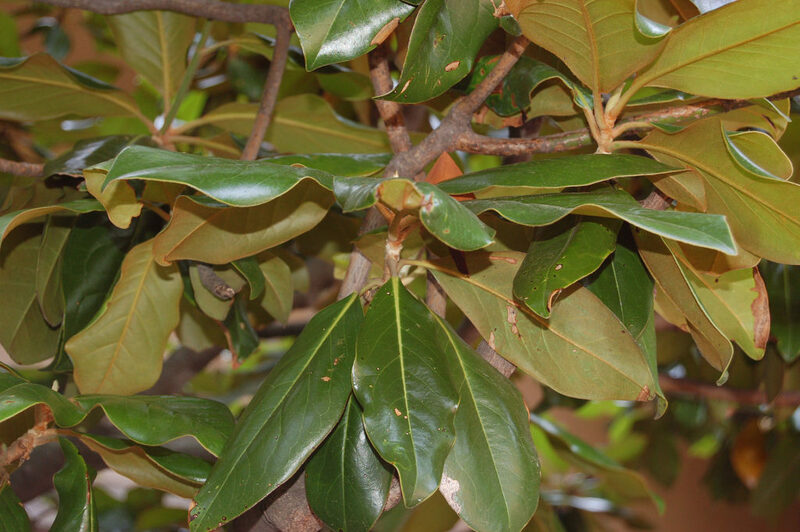 Southern magnolias can be seen growing naturally in various types of forests, but they’re also commonly planted as shade or ornamental trees throughout the southern and eastern United States. This means you probably won’t have to walk through the woods to find magnolias — just keep your eyes peeled while driving through the suburbs. Magnolias are important food sources for animals ranging from squirrels to opossums to deer, and many insects relish the pollen found in their flowers. Magnolias provide some of the densest shade of any native tree, although their tendency to retain lower branches means that this shade is hard to access. You can teach youngsters to identify southern magnolias by noting their thick, dark green leaves, which cling to the tree all year long. Once your kids develop a strong mental image of the basic magnolia tree aesthetic, they’ll have no trouble spotting them at a glance. And although your kids are unlikely to need to consider additional characteristics to identify magnolia trees, their summer-blooming flowers are gigantic and easy to recognize from a distance. Later in the season, you’ll be able to spot them by their large cone-like fruit, which are covered in red berries. The American holly is another common evergreen that is native to eastern forests. Although they can and do grow as trees, many grow as little more than shrubs. Although the American holly is native to much of the east, dozens of horticultural varieties (called cultivars) are planted on residential and commercial properties. Many of these lack the wild holly’s pointy leaves. The holly is an important wildlife species, including a variety of songbirds, who make nests amid the dense foliage. 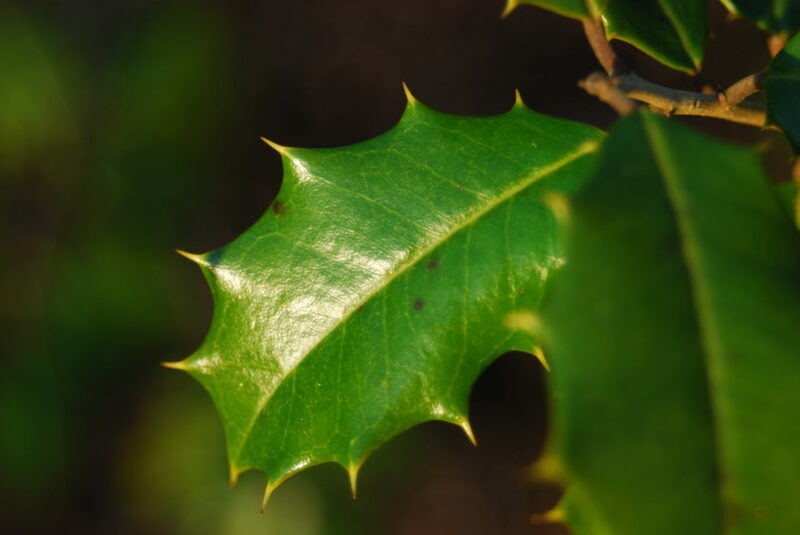 Armed with prickly evergreen leaves, the holly would be easy to recognize even if it didn’t produce bright red berries, which linger throughout the winter. The trunk is typically pale and moderately distinctive, but it is not the best criteria for youngsters to consider when trying to identify the tree. The sharp, pointy leaves are the single best criteria to teach children, but the plants often hold red berries, which are even more distinctive. Of course, there are plenty of other species that your youngster could learn to recognize — palm trees and sycamores are common in some areas, and both exhibit pretty distinctive characteristics. You could also select a locally abundant ornamental species, like crepe myrtles or pear trees. But, if you don’t know where to start, the five detailed above will all work well.